Father’s Day is a celebration to honour our dad’s and to also a chance for all those dads out there to celebrate being a dad; it is commonly celebrated around the world on the third Sunday of June. The first Father’s Day was celebrated on July 5th 1908 in West Virginia USA however as the day clashed with Independence Day it was agreed it should be moved to June. The first Father’s Day to take place in June was celebrated on 19th June 1910. It was not until 1966 when President Lyndon Johnson declared the third Sunday of the month officially Father’s Day with the UK following suit. Father’s Day was created to compliment Mother’s Day which was already a well-known celebration to give people a chance to thank their dads for all that they do for them . 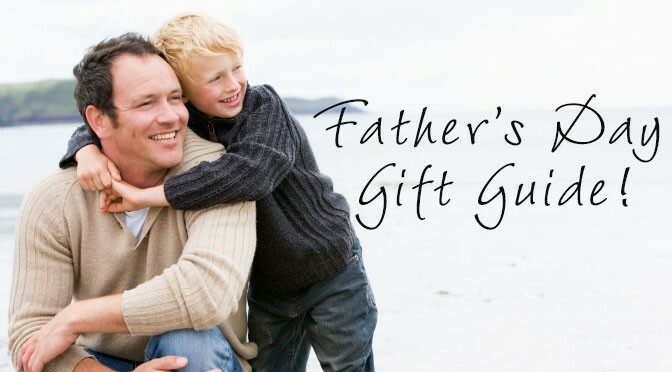 The UK itself spends roughly £770m on gifts each year, so what are best gifts to get our dads? There are so many different ways you can spoil your dad to make this Father’s Day a special and memorable day. If your dad is a football fan why not treat him to a stadium tour of his favourite teams ground, these tours normally come in at around £20-£40 per person and are a fun packed day where they get to walk down the tunnel, see the pitch and generally see all the behind the scenes action. These can be bought in advance and normally take part at this time of year as the season is over. If he’s more of a rugby fan then check out tours of your local rugby ground or treat him to a match ticket. If dad is not a football fan then this of year is perfect for cricket. With many local teams having one day matches or T20 matches, the pace of the game is much faster and feels more like a social event. Plus tickets tend to be much cheaper for these fun packed games. Take him along to one and enjoy sitting in the sun with a beer with your dad! As Father’s Day falls on a Sunday it’s the perfect time to get all the family together and treat dad to a pint and Sunday dinner at his favourite local. Why not nominate yourself to be the designated driver for a change and drive out to a lovely country pub where you can work up an appetite beforehand with a gorgeous country walk. If your dad is a bit of a risk taker take him to an adventure park where he can get busy with rock climbing, abseiling and being brave on a zip wire. 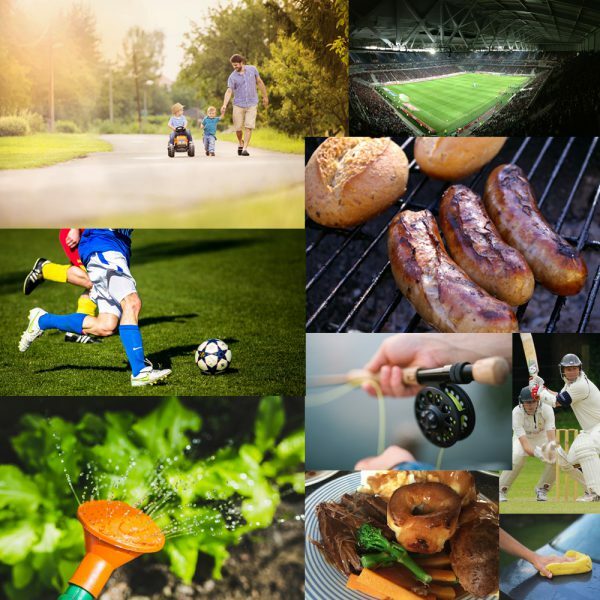 If your dad loves the great outdoors but at a slower pace take him fishing or challenge him to a game of tennis. Little things like a family game of rounder’s or football are also fun ways to get everyone together to celebrate with dad and the best bit is you can take a picnic to tuck into after. Little things can mean a great deal to your dad and really make his Father’s Day one to remember. After a long week at work, let him have a well-deserved lie in before making him his favourite breakfast. We know that dads have some important tasks to do around the house so why not divide his “chores” up between you all so he can have a nice relaxing day while you get on and do them for him, whether it be washing the car or watering the garden. If the weather is nice, throw a surprise BBQ for your dad, he will love the effort and surprise. If he is normally the king of the BBQ make sure he takes a back seat and relaxes while you do the cooking. It’s the perfect opportunity to get everyone together for a fun filled day and he will enjoy having his family around him, the most important part of the day for many dads is seeing their loved ones so try and arrange something everyone can make. When it comes to choosing a gift for your dad for Father’s Day it can be a bit of a headache knowing what to get him however why not treat him to some new footwear from our fantastic range here at Shoe Zone. For those trendy dads out there treat him to a cool pair of canvas shoes. Choosing bold colours or textures such as blue, red and denim effect will have him looking like the coolest dad in town. He will love this comfortable yet stylish addition to his casual wardrobe. If your dad is a bit old school then why not pick up a smart pair of shoes he can use for work or a special evening out. Choose from slick brogues and smart lace up styles in tan and brown for a timeless look he can rock again and again. We know that dads love a good kick around and that’s one of the things we love most about them so why not kit him out with some new trainers. Go for a modern slip on pair for a cool look that he will love or keep his feet comfy in a pair of super lightweight trainers; he will be outrunning you in no time! With so many different bold and bright colours he will be spoilt for choice. Some dads love nothing more than pottering around the garden, planting flowers and growing their own veg, for dads who love nothing more than getting outdoors grab them a pair of sturdy wellies. In traditional green or black they are perfect for keeping his feet warm and dry when he’s out in the garden or down at his allotment. If all you want to do this Father’s Day is pamper your dad a little there is nothing better a pair of warm and snuggly slippers. After a long day at work he will love nothing more than slipping his feet into a pair of cosy slippers. Treat him to a bottle of his favourite tipple so come Father’s Day evening he can relax in front of the TV with a glass of something and his feet all cosy! Perfect! So there you have it our top tips to make this Father’s Day super special for all those lovely dads out there. It doesn’t have to be expensive, if you’re feeling crafty why not make him a card and gift or cook him his favourite meal. Whatever you do, your dad will feel loved and appreciated which is the main point of Father’s Day. If you’re struggling for gift ideas check out our fantastic men’s footwear range here. What Are the Best Shoes for Over 50s? Back to School Checklist: What Do I Need? Surviving A Summer Music Festival!